Many people hate having to call a plumber to get help. 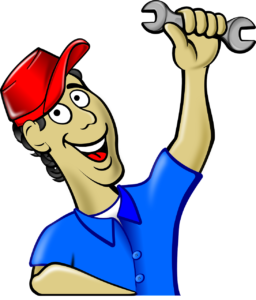 A majority of plumbers are honest and trustworthy professionals, however some of us worry that some of them might try a few underhanded tricks and overcharge us. Therefore, we are uncomfortable just picking up the phone and calling one. The following are 5 of the sneakiest plumber tricks. Learn how to recognize them so that you can better able to locate an honest professional to help you with your plumbing issue. Uninsured and unlicensed tradespeople tend to charge less for the services. However, hiring them can be very risky. A majority of cites require that homeowners use insured and licensed contractors, even when a permit is not required. Homeowners can still legally do most renovation work on their own houses. However, there are some limits. For instance, a licensed professional must be used for plumbing, electrical or structural work. When you use an unlicensed trades person, there isn’t anywhere for you to turn when the work isn’t done properly. You might be required by a building inspector to tear the job out and start over again. Before you hire a plumber ask for proof of current insurance, a state license and identification. To check on the plumber’s insurance and licensing credentials, call your state insurance commissioner and licensing department. How is it possible for a plumber to provide a realistic price estimate on a job if they haven’t seen it? Don’t accept any quote unless the job is inspected in person. Also make sure to get it writing. Although a price can’t be quoted by a plumber without them seeing the job first, they can let you know whether or not they have a minimum charge and what their hourly rate is. They can also provide you with a ballpark figure of how much time will be involved on predictable and small jobs – such as clearing a plugged up kitchen sink or getting a new shower head instead. Keep in mind that even small jobs may turn out to be more complicated than you may have thought. You should be wary of any surprisingly low bid. There is something probably wrong with it. Plumbing is notorious for being expensive. Also fees can vary a lot, so it can be difficult to judge. For example, the cost for repairing a clogged drain can range from $75 up to $250 depending on who the plumber is. Obtaining several competing bids can give you a good idea of what a realistic cost is for your particular job. One common plumbing scam is giving a low estimate where all of the necessary labor is not accounted for. It will then be necessary for you to pay for the extra labor before the plumber will complete the job, which puts you into a difficult situation. If a so-called plumber happens to knock on your door to try and convince you to hire him, call the police. This is frequently a burglar trying to check out the vulnerabilities of your home or some kind of fraud. Lots of people – and in particular elderly homeowners – are the target of smooth talking con artists. Don’t ever let anyone into your house that you haven’t checked out first.